Meandering down the Ocean Front Walk of Venice Beach, visions of eccentric storefronts and mystical characters fill your mind. Your body begins to warm up with the heat of the sun while the ocean breeze provides an alluring sense of calm. Thoughts of Jim Morrison’s, “Spanish Caravan” infiltrate your thoughts but just then, you start to hear another sound. This sound isn’t the music of your past or future; but rather your present state of mind. It’s the sound of turn-tables mixing all kinds of beats and it appears to be coming directly from the sky above. You’re not high yet…but you’re about to be. 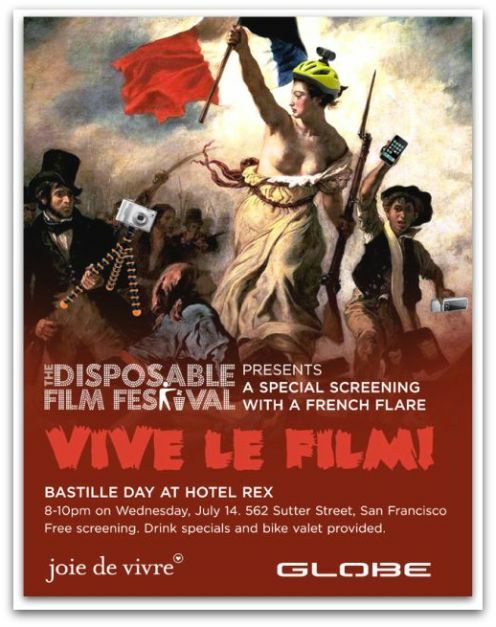 On Bastille Day, July 14th our Hotel Rex will play host to the French-Language Disposable Film Festival. 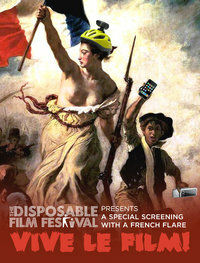 The Disposable Film Festival in a San Francisco based event that was created to highlight the potential and creativity that can come from the medium of disposable film such as cell phone cameras, point and shoot cameras, webcams and so on. Short film submissions from around the world are selected, then screened and featured in these festivals. For this particular soiree, the Disposable Film crew has put together their most intriguing French-Language short films for us to enjoy the Joie of Film at our very own Hotel Rex. The screening begins at 8:00pm but we’ll be serving French-inspired drink specials in our Library Bar starting at 6:00pm. Attendance is free. As part of our summer Road Trippin’ California campaign, we’ve met the cool folks at Rickshaw Bagworks, who have made some fabulous custom road trip themed bags for us to share with our fans. Their approach to sustainability, which encompasses community and environmentally-conscious design, is holistic and quite inspiring. Their founder, Mark Dwight, graciously agreed to be interviewed as part of our “Joyful Entrepreneurs” series. Why did you start Rickshaw? I started Rickshaw to pursue my passion for designing bags, building brands, exploring sustainable business practices, running my own business, and engaging in the local community. I love making things — especially things that require a certain amount of hand-work. I call it “artisanal manufacturing”. My first business was making stained glass windows when I was in high school. After college, I spent 15 years in Silicon Valley working for technology companies. 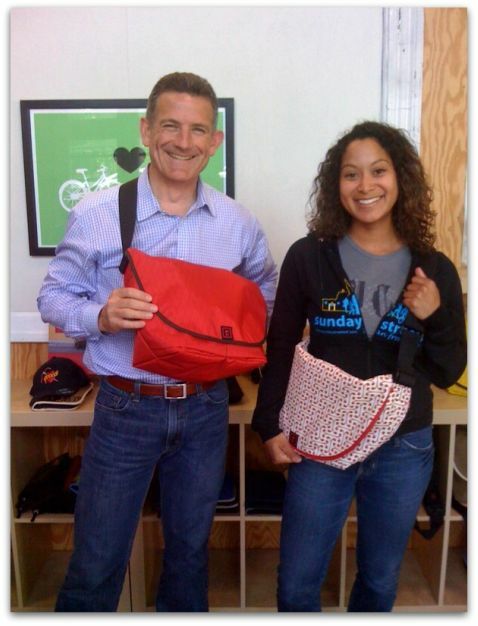 I took a break from high-tech in 2001, and had the good fortune to join a popular SF bag company called Timbuk2. That’s where my passion for bags blossomed. 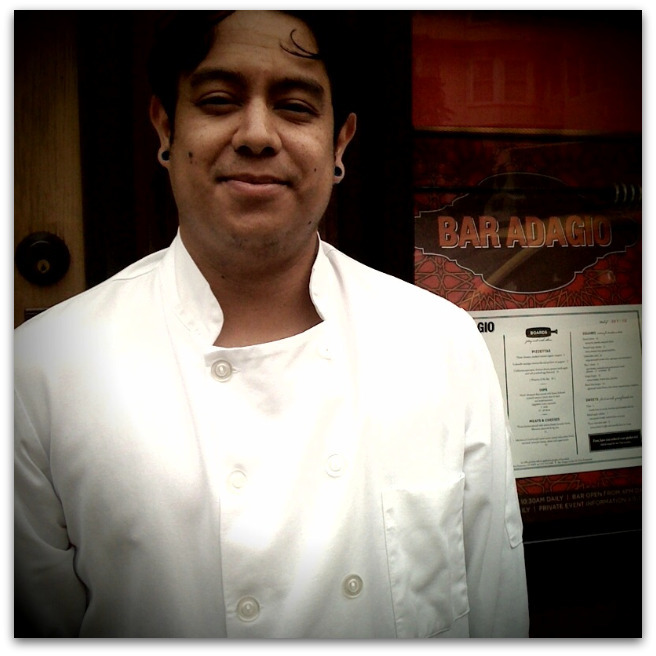 The bag business has brought me back to my true passion for working with my hands. In fact, making bags has some similarities to making stained glass windows — just with fabric and thread instead of glass and lead. How is sustainable design interpreted at Rickshaw? 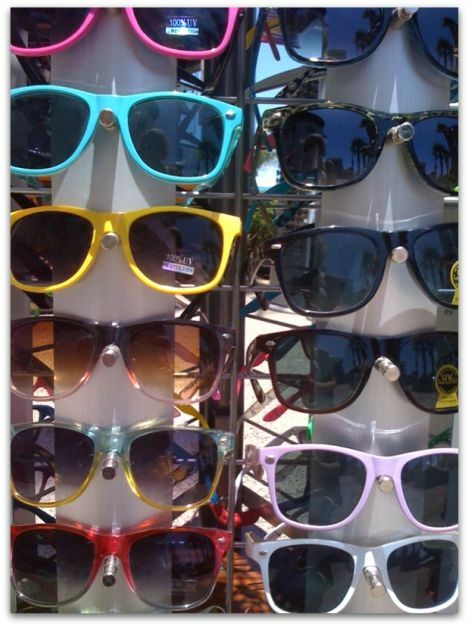 Today’s guest post is from Leah Corradino of Joie de Vivre’s SoCal team. Leah shares her vast knowledge of what to do, see, eat and drink in Southern California – including a few bon mots from our hotels in the region: Shorebreak Hotel (Huntington Beach), Hotel Angeleno (Los Angeles), Hotel Maya (Long Beach), and Hotel Erwin (Venice Beach). 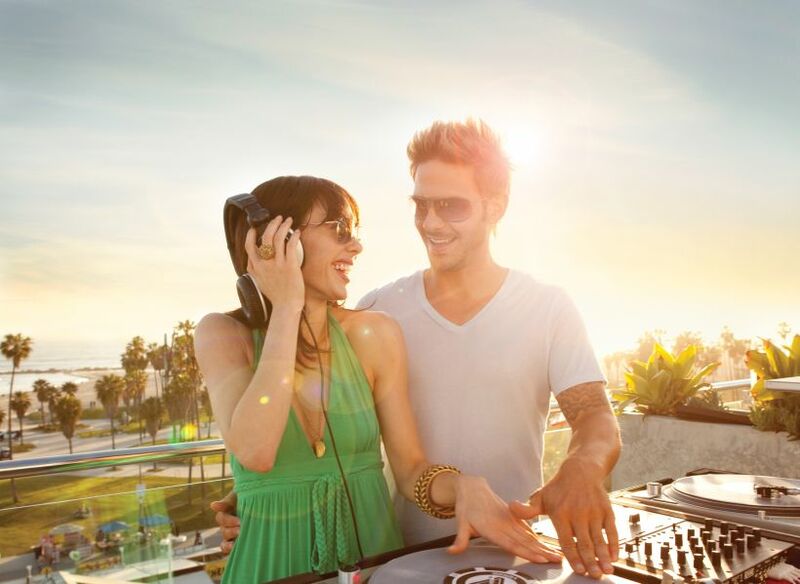 Stay tuned also for our new Pacific Edge Hotel, which debuts in Laguna Beach this month. 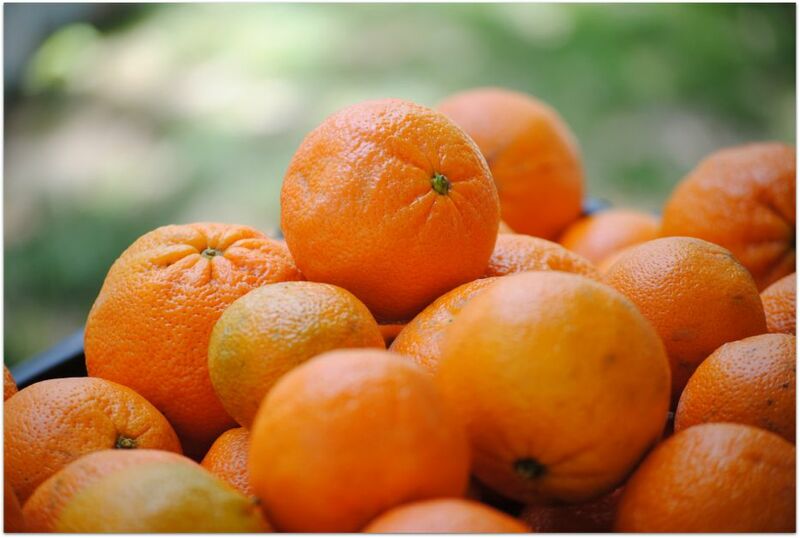 Thanks, Leah, we can’t wait to get back to SoCali and try some of these! 4. Opening Ceremony just opened on La Cienega! Serious competition for Fred Segal! I’m a Bay Area girl, born and raised. One can only imagine my friends’ reactions four years ago when they heard I was moving to Sacramento to attend UC Davis. Shock and disgust were among many facial expressions, to give you an idea. You see, my friends were moving to “cool” places for college, like L.A. and San Diego. Sacramento on the other hand, known for being a “cow-town” and “hot as hell”, was always stereotyped as less than desirable. Well, turns out the joke’s on them. Sacramento is awesome, and I’m not afraid to say it out loud. Four years into living here, I have dined downtown, wined Midtown, ran a 10k around the zoo, attended film festivals at the Crest, and rafted down the river on lazy Sunday afternoons. 1. 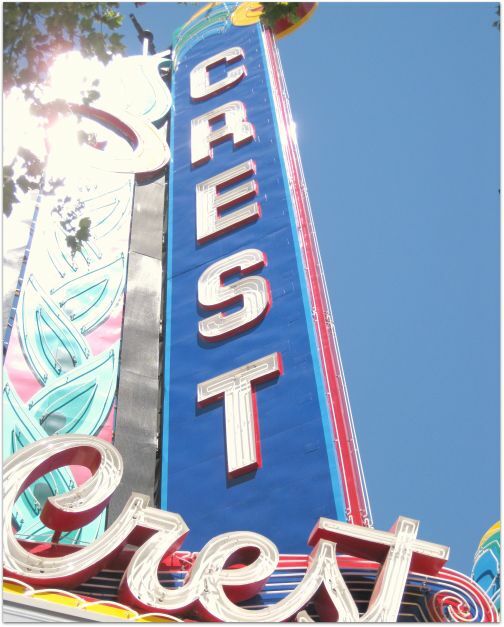 Catch a film at the Crest Theater. I think it might be accurate to say I have never seen a bad film here. If you’re into the Avatars and Iron Mans, this isn’t the place for you. If you’re into the interesting, hilarious, and educational indie films that nobody has heard of, this is your go-to theater. I am a bit of a movie snob and this is hands down, the best place to catch a good film in Sacramento. One of my favorite road trips involves Hwy 121 aka Arnold Drive in Sonoma. Sonoma is a vast territory that spans from the San Pablo Bay in the south all the way up north to Santa Rosa and in between the Mayacamas Mountains and Sonoma Mountains. Once referred to as the Valley of the Moon by the native Miwok, Pomo and Wintun peoples, the Sonoma Valley is now a mecca for wine enthusiasts, and all people in search for some Joie de Vivre. 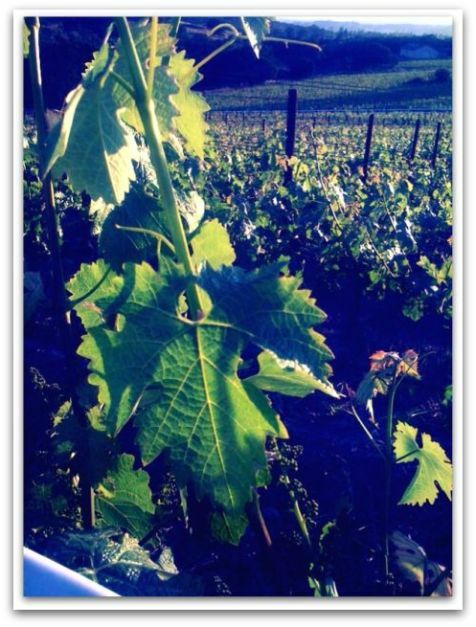 Whereas Napa is seen as a little more upscale and refined, Sonoma is true to its country roots. 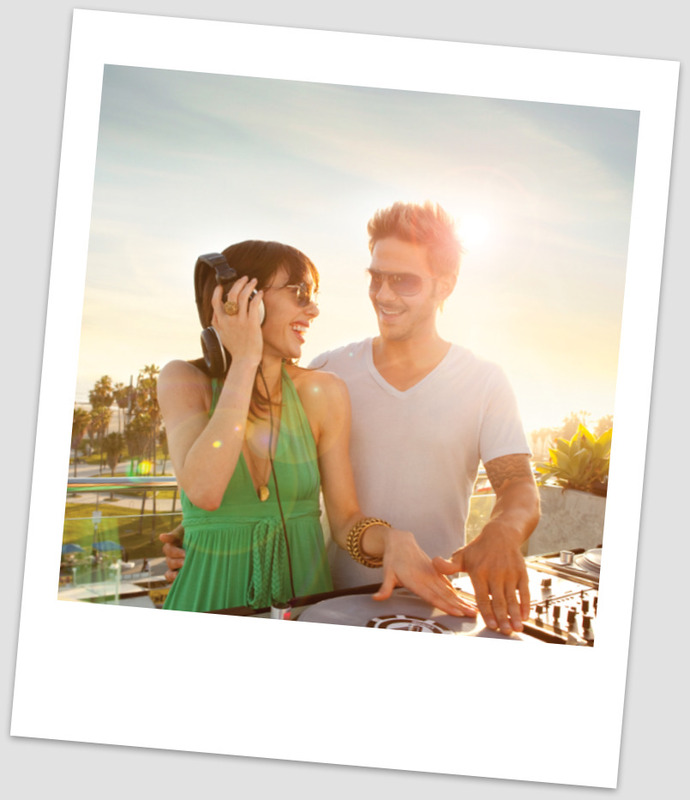 The Sonoma lifestyle is a little more casual and free-spirited. It’s one of my favorite local getaways as it’s a quick 45 minute drive from San Francisco once you hit the Golden Gate Bridge. My picks reflect places that hold great memories and are almost always on my itinerary when I make my way up north. Getting up close and personal with a city you do not know is a bit like angling to meet the Rolling Stones after the show without a backstage pass: if you don’t have someone who can hook you up, you’ll have to be content with being held at a cordial arm’s length, no shots of Jameson with Keith for you. For the next few months, as part of our Road Trippin’ California summer, we’re going to be sharing our personal itineraries from the places in California we love. We hope it inspires you to get out and explore the Golden State and experience some of the authentic sights and scenes we’d want people to share with us. 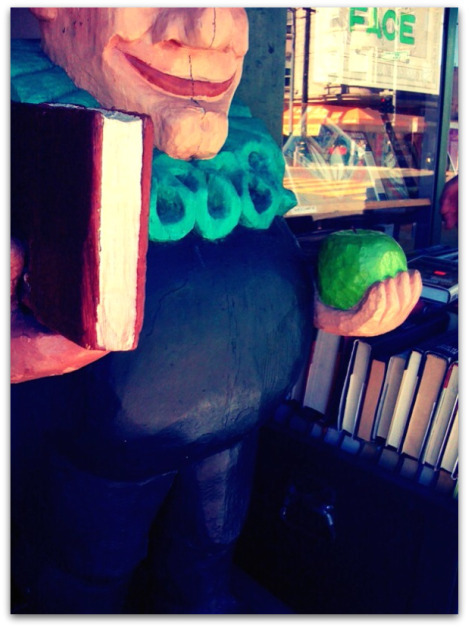 Today, I’m writing about my own neighborhood, San Francisco’s fabulously untrendy Richmond District. If you’re looking for packaged faux-bohemian or sidewalk cafes avec the stroller set, the Richmond probably isn’t going to ring your bell. I love it for its sunny days, good food, cheap rents (with great views), and its nearness to both Golden Gate Park (the city’s legendary outdoor playground) and the beach. It’s also got humility going for it, like the best people and places who aren’t terribly aware of their charms. Here’s my top 10 list for the Richmond. I hope you will read it with rapt attention, takes notes, and make a visit next time you are in our fair city by the bay. 1. 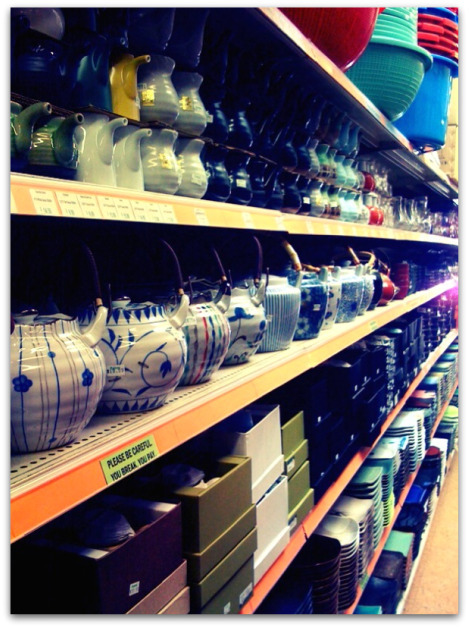 Kamei Restaurant Supply – honestly, forget Chinatown for tablewares and tchotchkes and head to Kamei, where you can find all the sushi ware your heart desires, a vast selection of rice cookers, tea pots, and other culinary lovelies at affordable prices (525-547 Clement St., San Francisco). 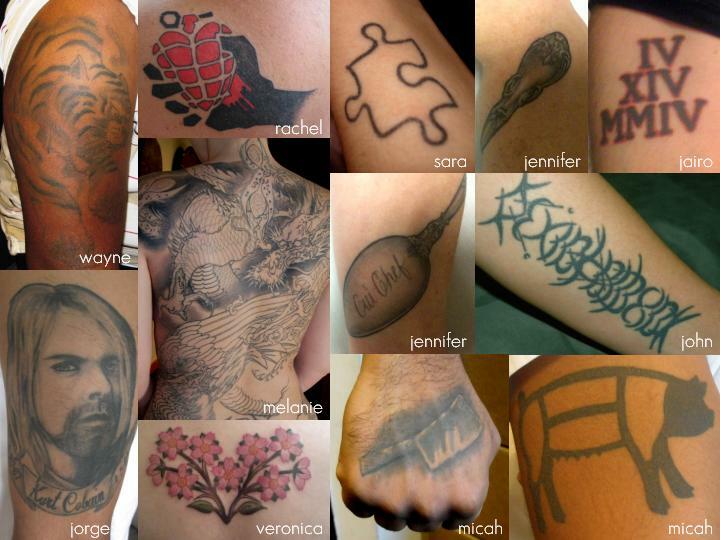 I’ve been intrigued by tattoos for as long as I can remember, likely due to the influences of my brother and mother. Growing up, my older brother discovered his love for tattoos during his middle school years. I remember coming home one day to find he had taken apart my bedside fan to use the motor for his homemade tattoo gun. He and his friends always practiced on each other. Lucky for them, my brother is quite a good artist. By the time he was in high school he had a few dozen tattoos all over his body. As a child, I used to think his pre-teen doodle tattoos looked so silly. I didn’t see the appeal and never thought I would get one. I later came to love the beauty tattoos can express…the insights into one’s life that can be seen on a canvas of skin. As horrible as I used to think my brother’s kid-made tattoos were, as I got older I could see the beauty in them – the story of his life scrawled across his body.